Bridge Reamers or Car Reamers are especially adapted for heavy duty reaming as encountered in the fabrication of structural steel assemblies. They are tapered at the point to facilitate entering of holes which are out of alignment. 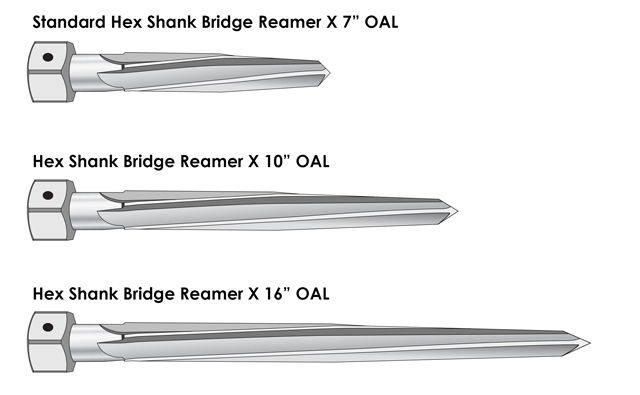 Hex Shank Bridge Reamer 2 "